"Great efficient and fast texting service for our business!!" What I love best about zingle is the ability to categorize contacts in any way that helps you distinguish between tenants and prospects. I also love the flexibility to customize different tags. It's such an efficient way to reach out to prospects and tenants. I don't like how the mobile app doesn't have a way to filter out contacts and send out a mass message. Unless I just haven't found it yet. 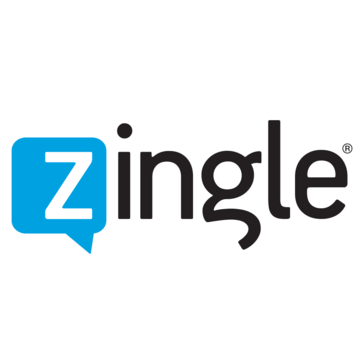 I really recommend people to use Zingle because it is a very very very very efficient way to connect with customers and people outside of the business. We. at Tailwind Group, and more specifically, the Quarters at Ames, really enjoy using Zingle. There is no better online instant texting service out there. Zingle is number 1 and it can not be beaten by any other competitor. It is extremely simple and easy to use. There are little to no flaws in using this texting service. Especially for the very reasonable price that they charge use it. If you or anyone you know have not used Zingle before, please, for the sake of your company and for the sake of your customers, use zingle! It is the fastest, and most efficient way to contact your customers. We are solving a lot of communication issues with it. It really allows us to have urgent conversations with tenants when something needs to get done. I would say that is a realization of benefits within itself. Zingle provides a good user interface. It looks like your phone and thankfully it's blue and not some hideous color. It's literally like texting from your phone but on your computer. The use of tags and segments is really beneficial too. It is too much like the phone experience. It doesn't allow for filtering inbox A-Z or any other way other than chronologically. The Contacts tab does not allow you to view the conversation history when you click a contact. You have to open up a new tab and go to that inbox. It's very annoying/time-consuming. Also, closing a conversation is so dumb, if you hover over a different contact, it will close that one instead of the one you clicked Close on. Zingle is a great product. Very easy to use although not the most intuitive. Great features like tags, segments, autoresponder. Very easy to onboard people to use this also. Zingle allows us to text customers directly which has proven instrumental in building a loyal customer base and providing very friendly and casual customer service. Workflows and automation is really easy to use. I love that they already have standard templates that fit my industry needs as well. Not much at this time. I find the product very easy to use and customer support answered any questions that I had withing 24 hours. Creating more efficiency with our front desk staff, removing tedious administrative tasks, driving more timely customer feedback and creating more opportunities to share social reviews from guests. "Zingle is a great Texting Ap"
* We monitor all Zingle reviews to prevent fraudulent reviews and keep review quality high. We do not post reviews by company employees or direct competitors. Validated reviews require the user to submit a screenshot of the product containing their user ID, in order to verify a user is an actual user of the product. Hi there! Are you looking to implement a solution like Zingle?